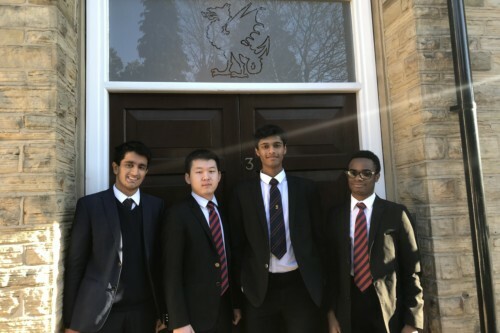 We are delighted to extend our congratulations to six Birkdale students, who have received offers to study at Oxford and Cambridge next year. At Oxford – Ruhan Aziz (Biochemistry), Tom Doyle (Physics), Rishin Madan (Physics and Philosophy). At Cambridge, Kene Ezi (Mathematics), Mayuran Visakan (Mathematics), Michael Wang (Maths and Physics). We wish them and all our students in the Sixth Form every success as they work towards fulfilling their ambitions next year at the University of their choice. Pictured here are Rishin, Michael, Mayuran and Kene.